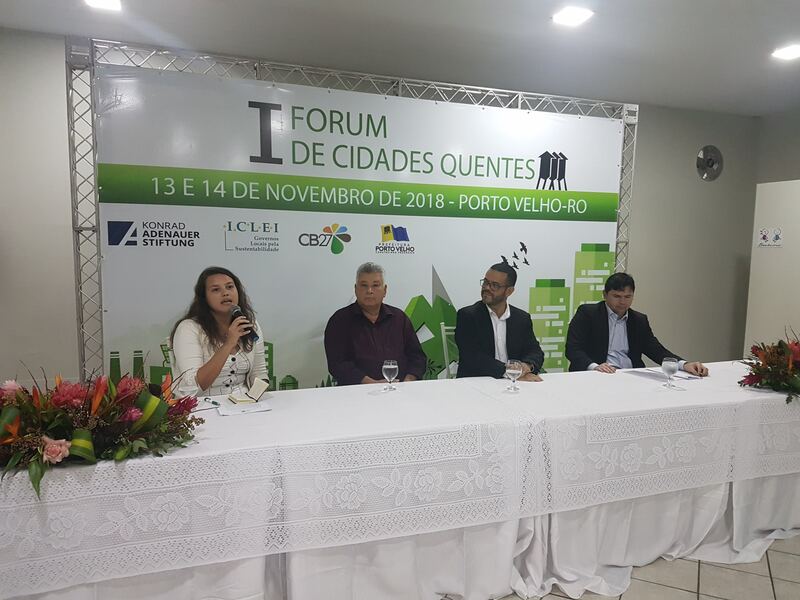 The Municipality of Porto Velho, in partnership with the Konrad Adenauer Stiftung and ICLEI South America, will hold the I Meeting of the Hot Cities Forum, from November 13th to 14th, 2018. 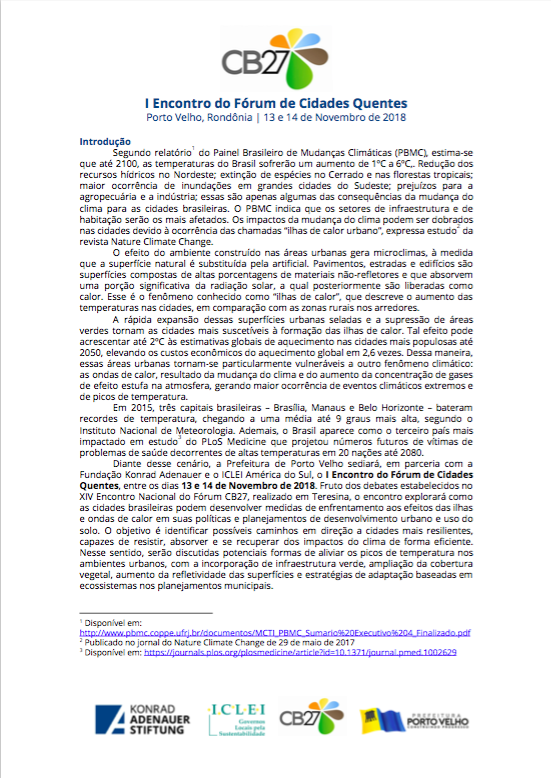 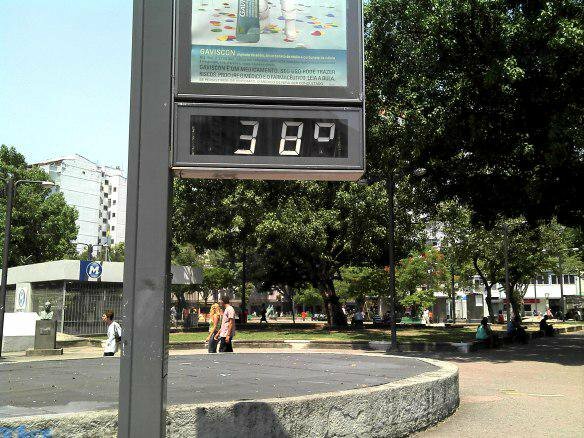 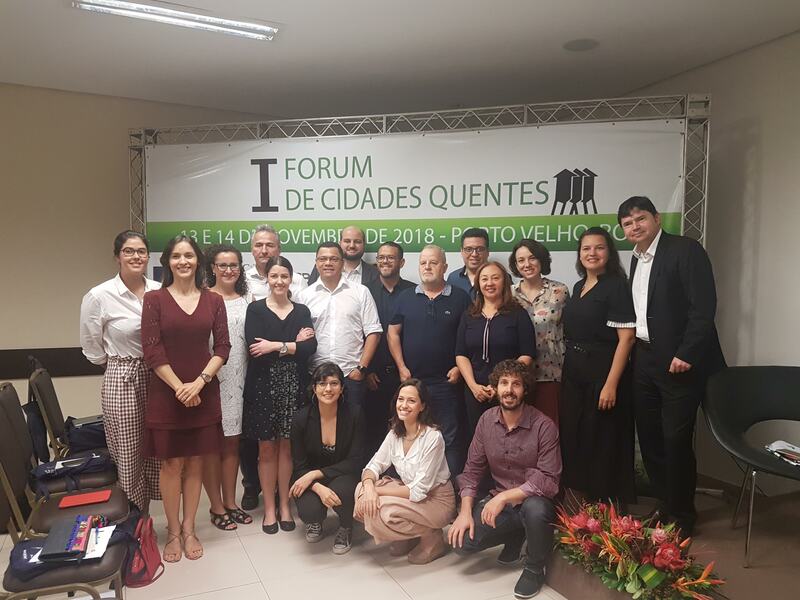 Result of the debates that took place at the XIV National Meeting of the Forum CB27, held in Teresina, the meeting has explored how Brazilian cities can develop measures to cope with the effects of the urban heat islands and heatwaves on their policies and plans for urban development and land use. 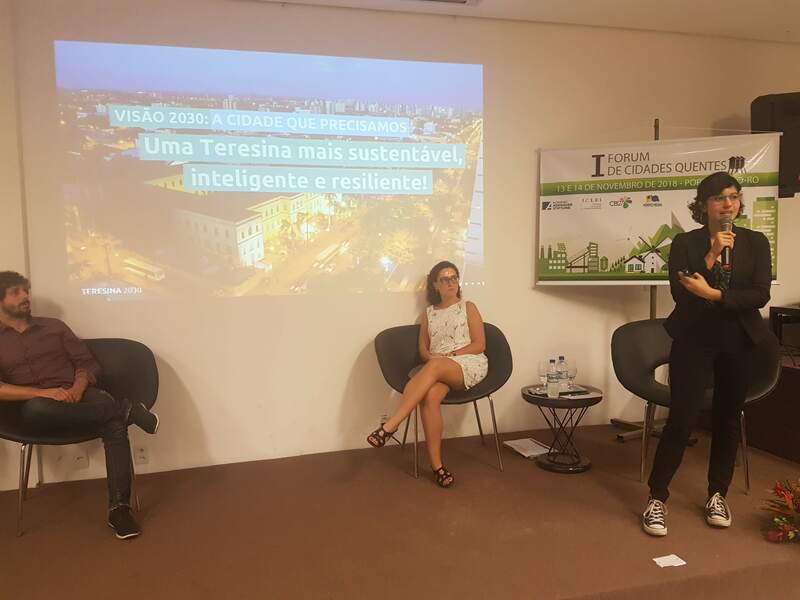 The goal is to identify possible paths to more resilient cities that are able to withstand, absorb and recover from climate impacts efficiently. 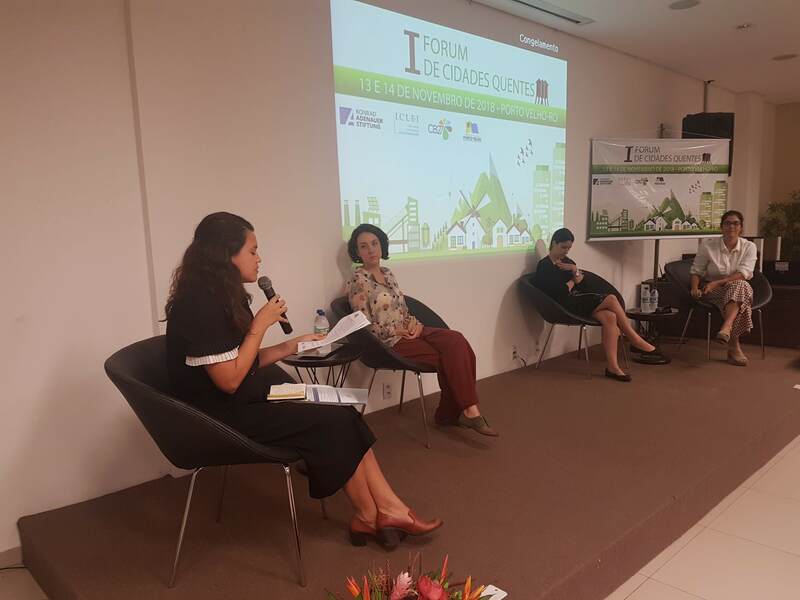 In this sense, potential ways of alleviating temperature peaks in urban environments will be discussed, with the incorporation of green infrastructure, expansion of vegetation cover, increased surface reflectivity, and ecosystem - based adaptation strategies in municipal planning. 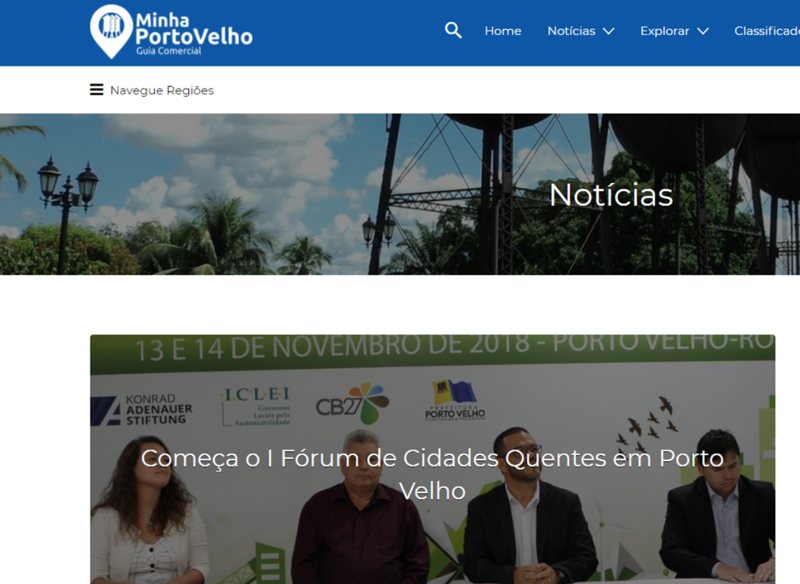 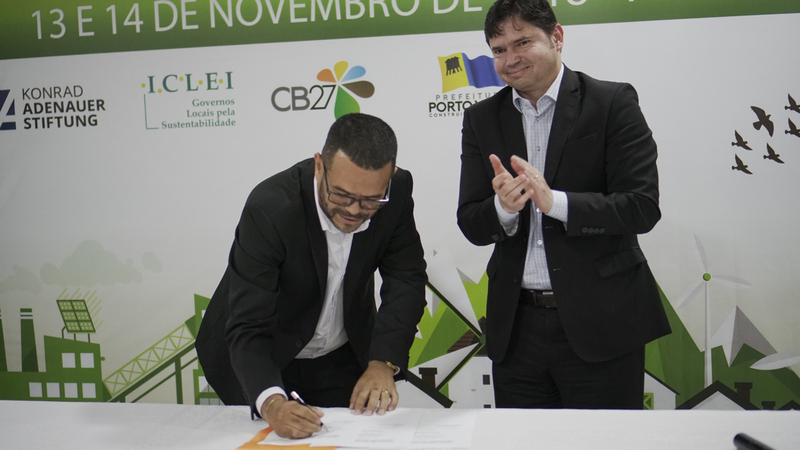 The opening took place at 7:00 pm on November 13, when the Deputy Secretary of Environment and Sustainable Development of the Municipality of Porto Velho, Robson Damasceno Silva Júnior, announces the adhesion of Porto Velho to the ICLEI - Local Governments for Sustainability network. 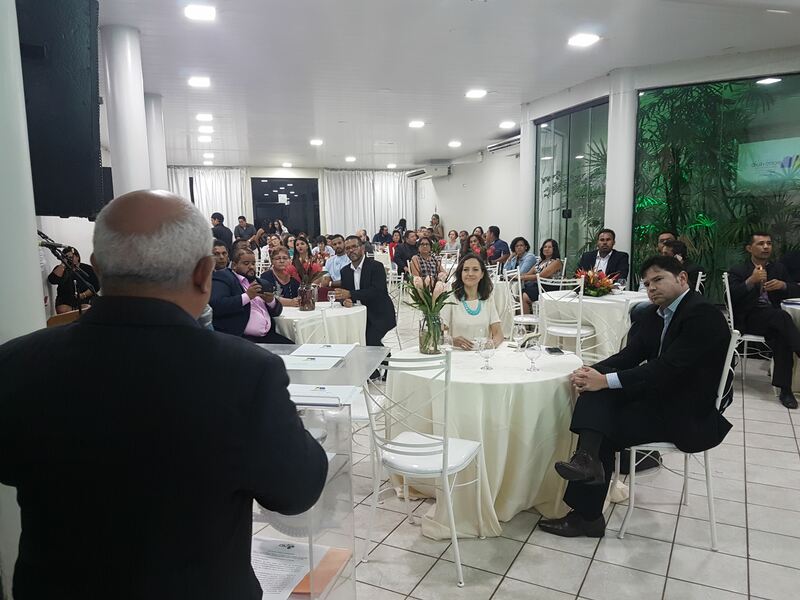 The occasion also counted on the participation of the governor of the State of Rondonia, Daniel Pereira. 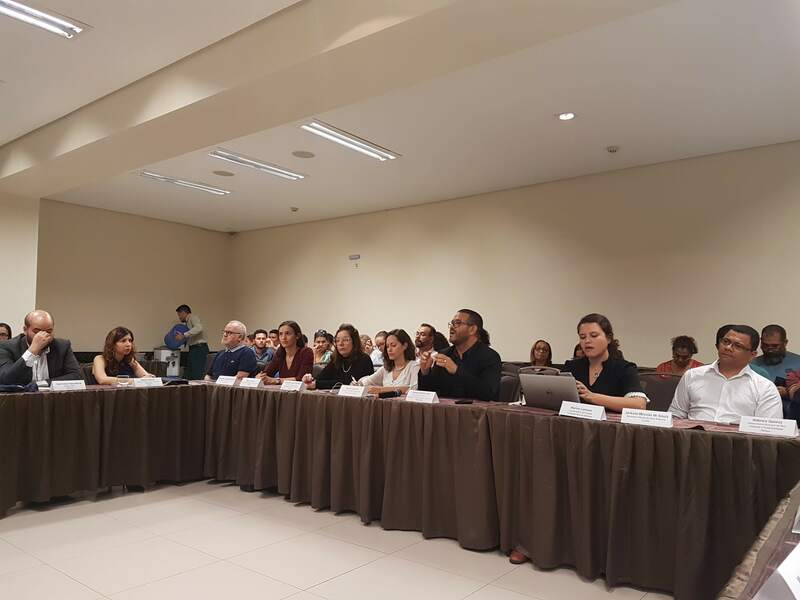 In addition, the event brings together representatives of various organizations, such as CEMADEN - National Center for Natural Disaster Monitoring and Alerts, FGV - Getúlio Vargas Foundation, Go Green Amazon, Ministry of Environment, Ministry of Health and UN-Habitat. 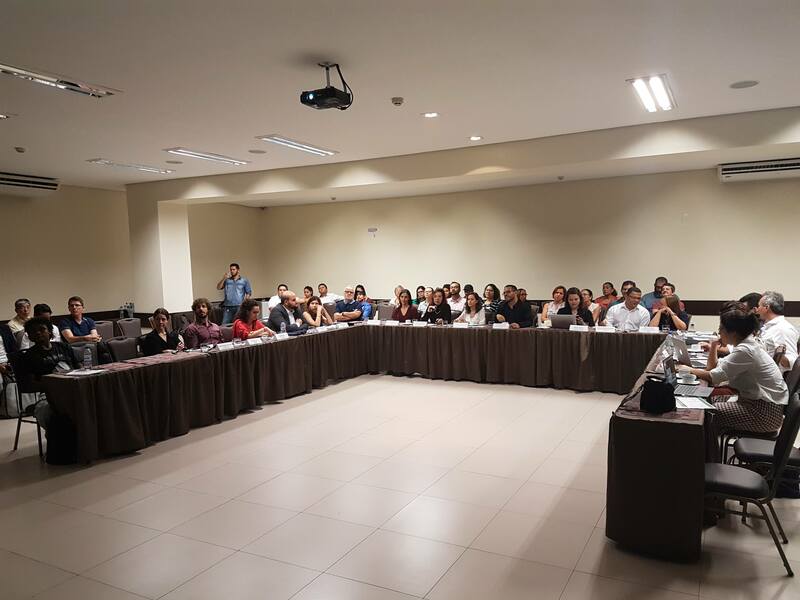 Check out the complete program.